Call for Papers: Dystopia. Journal of Totalitarian Ideologies and Regimes. 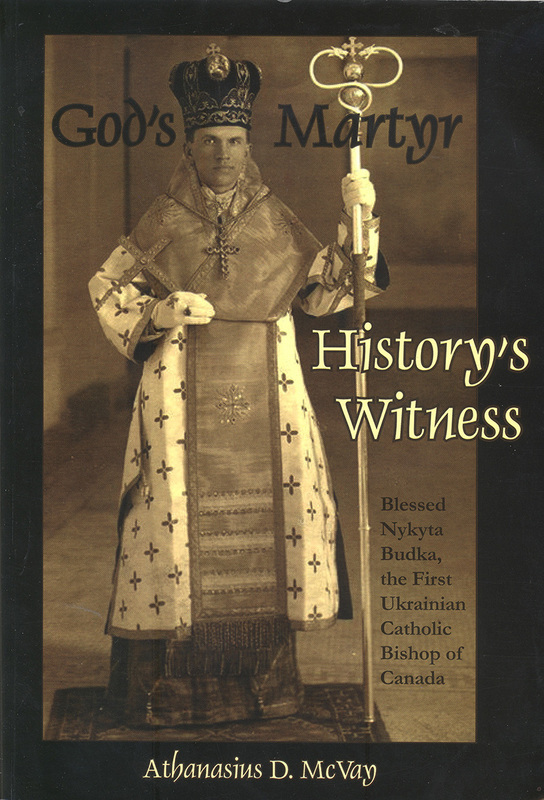 Father McVay went on to note that in 1965 the Second Vatican Council’s Declaration on the Church in the Modern World asserted that “man is defined, first of all, by his responsibility to his brothers and to history.” Much the same had already been expressed by Bishop Nykyta Budka (1877–1949) four decades earlier, said Father McVay. “My responsibility before God and history is very great,” was the bishop’s declaration about his mission in Canada. 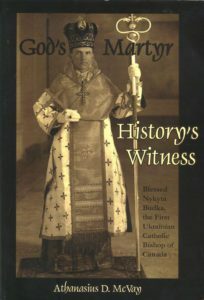 Among other things, Father McVay continued, the biography “tells the story of a human being complete with virtues and imperfections, of great successes and of crushing failures.” In spite of it all, he said, Bishop Budka was successful in fulfilling the mission entrusted to him—to sustain the faith among his people. The project advisor, Dr. Serge Cipko of KUCSC, who is also with the BBCS, drew attention to the acknowledgements page of the book, which lists contributing individuals and organizations. 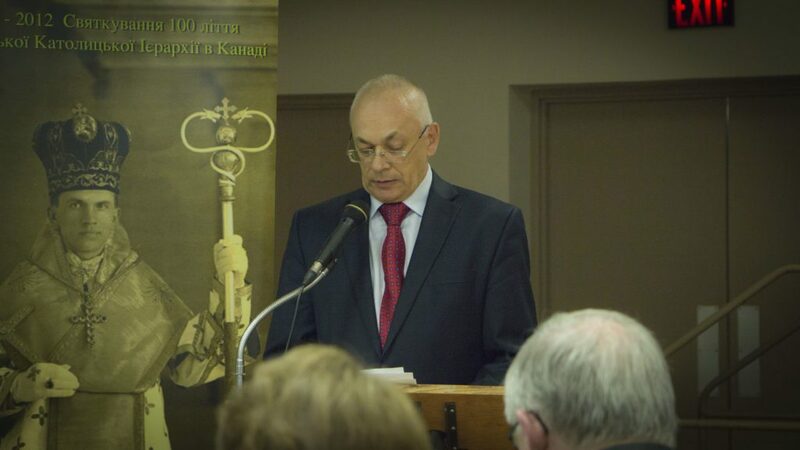 He mentioned the technical work performed by Ksenia Maryniak and the financial contributions made by individuals and groups besides the BBCS, such as the Ukrainian Canadian Foundation of Taras Shevchenko (Winnipeg) and the Stephen and Michelene Worobetz Foundation (Saskatoon). He also thanked the sponsors and organizers of the event. 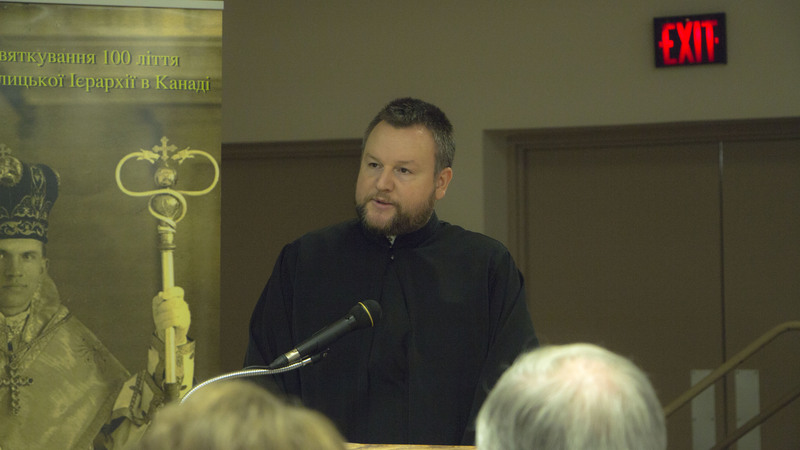 Concluding remarks were given by the Most Reverend David Motiuk, bishop of the Ukrainian Catholic Eparchy of Edmonton, co-publisher of the book with MASI. 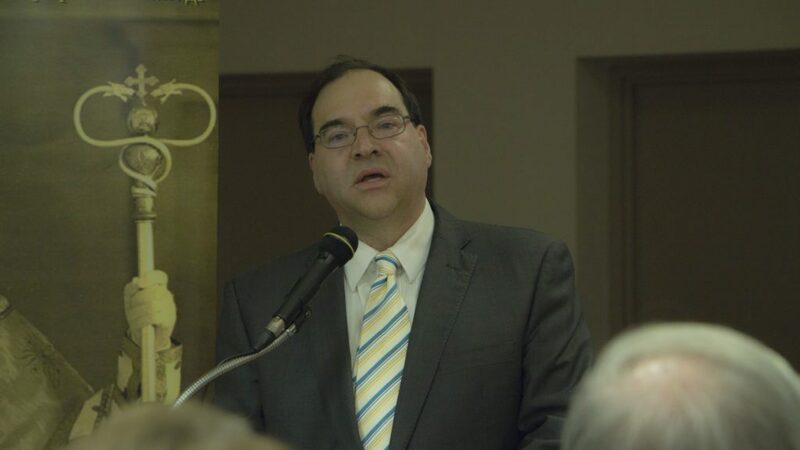 Bishop Motiuk, the initiator of the biography project, noted that Father Athanasius took on the research and writing with passion and was a great storyteller. 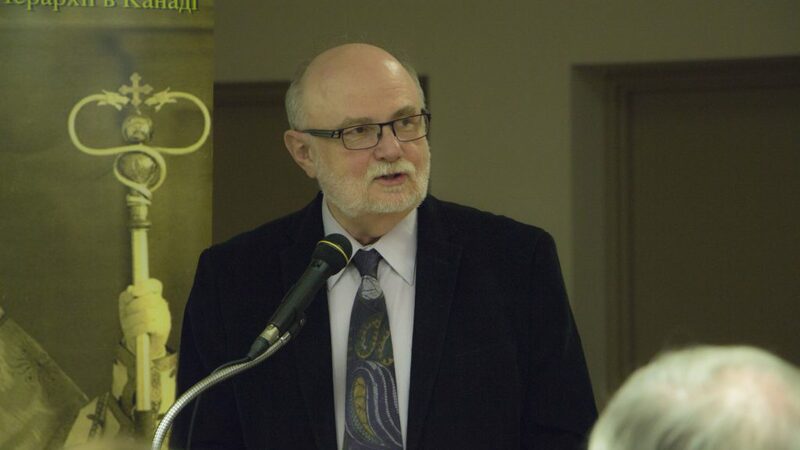 He “weaved a beautiful tapestry of a human being who made a great contribution to the Church in Canada and beyond” and who sacrificed his life as a martyr for the faith. 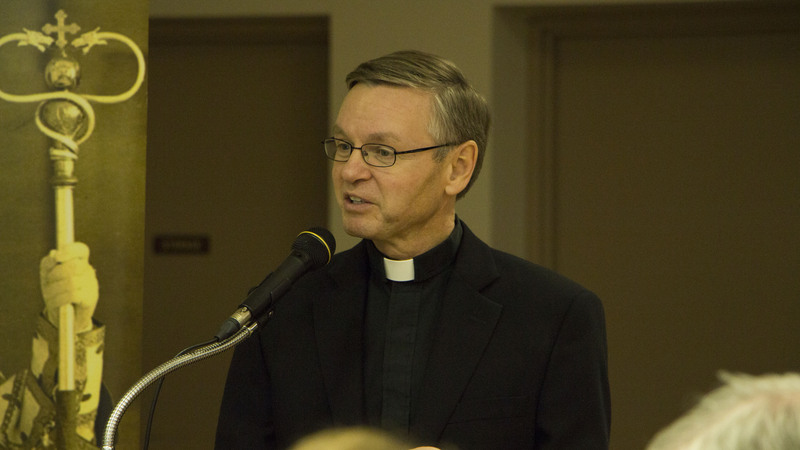 Bishop Motiuk stressed the work and dedication of Father McVay in bringing the study, a work of more than 600 pages, to fruition. He then provided examples from the book. One of them concerned a meeting between Bishop Budka and Pope Saint Pius X, in which the future saint told the young bishop: “Your diocese is the largest in the whole world. But I rejoice in seeing you so young. You have a very broad territory, so you can fly. You cannot do everything, [so] do what you can.” The last sentence is a good mantra for each and every one of us to live by, said Bishop Motiuk. that, another book on the history of the Church in Canada. “Your people love the Most Blessed Virgin Mary,” Bishop Budka reported Pope Saint Pius X saying to him before he left Europe for Canada. After mentioning the Blessed Martyr’s role in the rebuilding of the Shrine of Mary, the Mother of God, in the Ukrainian village of Zarvanytsia, Bishop Motiuk closed the evening with the prayer “Bohorodytse Divo” (Hail Mary).